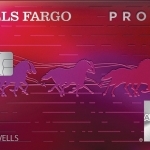 NEW YORK--(BUSINESS WIRE)--This Valentine’s Day, the Wells Fargo Propel® Card invites millennials to pop a question that matters: “Will you share your points with me?” A new study conducted on behalf of the Propel Card unveils millennial relationship rules, spending habits, and the role credit cards play from the butterflies in the first few months to the comforts of a lasting partnership. Gone are the days where meeting a significant other’s parents is the only sign a relationship is getting serious. Today, traveling together is becoming a relationship barometer. For today’s millennials, travel is on par with meeting each other’s families as a relationship milestone, with most indicating that traveling together (83%) and meeting each other’s families (87%) should happen in the first year of dating. Two in five coupled millennials (42%) believe booking their first trip was a sign their relationship was getting serious, and in the next year, about three quarters (74%) are planning some kind of vacation together. Millennials are also creating their own dining rules in terms of who picks up the check on dates. The survey found that 38% of millennials started regularly splitting the bill on dates within the first six months of their current relationship and, interestingly, men and women indicate this equally. Not only are millennials going Dutch, they are choosing to pay because they want to score points – credit card points, that is! Almost half of millennials (48%) don’t mind picking up dating expenses because they will earn credit card points. In fact, one in three (34%) have insisted on paying for a meal they shared with their partner because they wanted the credit card points. A surprising survey finding is that almost half (45%) of millennials would add their significant other as an authorized card user so they earn points together. Further, three in five coupled millennials report that sharing card points with their partner is a nice side perk of dating (64%) and that they and their partners are saving their card points for something special (59%). 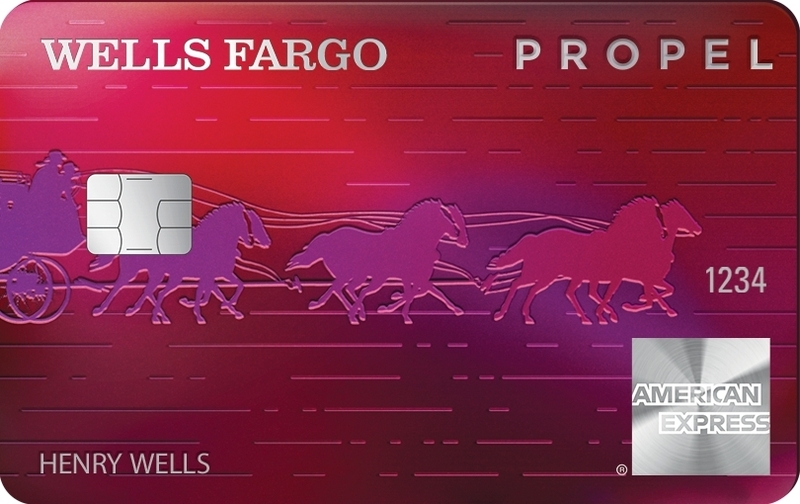 The Wells Fargo Propel® Card was created so that consumers could earn points on the spending they are already doing. With more coupled millennials traveling together (38%) than sharing copies of keys to each other’s homes (22%) in the first six months, couples can be rewarded at every stage of their relationship, whether they’re teaming up on streaming services, dining out, or traveling the world. The Propel Card is designed for the independent and driven consumer – those taking advantage of all that life has to offer. With Propel, cardholders’ everyday spending is maximized with triple rewards points earned on popular categories – eating out and ordering in, travel including airfare, hotels, and car rentals, ride-sharing and mass transit, and popular streaming services. Survey findings are from Kantar TNS. Total sample size was 1,000 Millennials in exclusive relationships. Fieldwork was undertaken during January 2-14, 2019. The survey was carried out online. The figures have been weighted and are representative of all US Millennials (ages 22-39). There is an introductory 0.0% APR for purchases and balance transfers for 12 months; after that, a variable APR of 14.74% to 27/24% applies. There is a variable cash advance APR of 26.24% to 28.24%. These APRs will be based on your creditworthiness and will vary with the market based on U.S. Prime Rate. A balance transfer request must be made within 120 days from account opening to qualify for the introductory APR. Minimum interest charge will be no less than $1.00. An introductory balance transfer fee of either $5 or 3% of each balance transfer, whichever is greater, for 120 days from account opening applies; after that, a fee of up to 5% for each balance transfer, with a minimum of $5. A cash advance fee of either $10 or 5% of the amount of each advance, whichever is greater, applies. An overdraft protection advance fee of $12.50 or $20 per day applies. This information about the cost of the credit card account described here is accurate as of November 2018. To find out what may have changed, call 1-800-932-6736. The Wells Fargo Propel American Express® Card is issued by Wells Fargo Bank, N.A. Three rewards points (1 base point plus 2 bonus points) are earned per $1 spent on net purchases (purchases minus returns/credits) at retailers whose merchant code for American Express is classified as: Travel: airline, passenger railway, hotel and motel, timeshares, vehicle and auto rentals, cruise lines, travel agencies, discount travel sites, campgrounds, passenger trains, taxis, limousines, ferries, toll bridges and highways, parking lots, and garages. Gas: gas stations and automated fuel dispensers (gas purchases at warehouse and membership clubs, grocery stores, car washes, auto repair stores, and superstores that sell gasoline may not be coded as gas stations or automated fuel dispensers). Dining: eating places and restaurants, drinking places, or fast food restaurants (caterers, bakeries, grocery stores, and other miscellaneous places that serve food or operate restaurants on their premises are not considered eating places and restaurants). Additionally, 3 rewards points (1 base point plus 2 bonus points) are earned per $1 spent on net purchases for eligible online streaming services. The current list of eligible streaming services is available at wellsfargo.com/propelstreaming. Purchases not processed using the codes for American Express mentioned above will not qualify for bonus points. Wells Fargo does not have the ability to control how a retailer chooses to classify their business and, therefore, reserves the right to determine which purchases qualify for bonus points. You may not earn bonus points for purchases made through third-party payment accounts, at online marketplaces, with retailers who submit purchases using a mobile or wireless card reader, or if you use a mobile or digital wallet. One rewards point will be earned per $1 spent on other net purchases. ATM transactions, cash advances of any kind, balance transfers, SUPERCHECKS™, cash equivalents such as money orders and prepaid gift cards, wire transfers, fees or interest posted to a linked account, including but not limited to returned payment fees, late fees, and monthly or annual fees, do not earn points. Refer to the Summary of the Go Far ® Rewards Program Terms and Conditions and Addendum for the Wells Fargo Propel American Express® Card for details. Some promotional rewards bonus offers may include a limit on the amount of bonus points that can be earned. Specific promotional terms and conditions will be disclosed at the time of the promotion. To qualify for the 30,000 bonus rewards points, a total of at least $3,000 in net purchases (purchases minus returns/credits) must post to your account within 3 months from the date your account is opened. These bonus rewards points will show as redeemable within 1-2 billing periods after they are earned. Cash advances and balance transfers do not apply for purposes of this offer and may impact the credit line available for this offer. ATM transactions, cash advances of any kind, balance transfers, SUPERCHECKS™, cash equivalents such as money orders and prepaid gift cards, wire transfers, fees or interest posted to a linked account, including but not limited to returned payment fees, late fees, and monthly or annual fees, do not earn rewards points. Refer to the Summary of the Go Far® Rewards Program Terms and Conditions and Addendum for the Wells Fargo Propel American Express® Card for details.